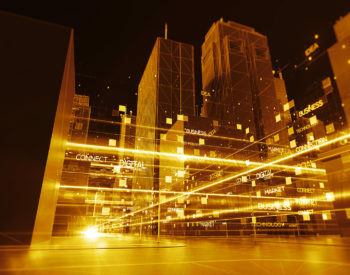 In recent years, Real Time Locating Systems (RTLS) have increasingly been introduced into daily life – from workflows to leisure solutions. In particular, they find active use in determining the exact location of people, moving mechanisms, and movable objects in order to effectively coordinate their interaction and prevent possible collisions. In fact, RTLS allows determining the coordinates of objects of interest at any time, storing them, and analyzing them in order to identify deviations in their positions and movements. Want to know which technologies are most useful in the implementation of such systems? Sit back and read our article! Below we will review the top six technologies that have proven themselves superior when building RTLS. Wi-Fi is a wireless data transfer technology based on the IEEE 802.11 family of standards. At the core of its operation is the transmission of data from the access point to the client, carried out via multiple communication channels in the 2.4 and 5 GHz radio frequency bands. Increased effective range. Theoretically, using Wi-Fi, you can transfer data over distances up to 100 km (although in practice, repeaters should be located 25–30 meters apart to achieve the maximum accuracy of measurements). The practically achievable data transmission speeds depend on the specific implementation of the standard (802.11b – 5.5 Mbps, 802.11a – 20 Mbps, 802.11g – 20 Mbps, 802.11n – 100 Mbps, 802.11ac – 200 Mbps). Versatility. Today, Wi-Fi technology is so advanced that it allows transmission of even high-demand data (for example, media streams) with minimal delays. Compatibility. Today, Wi-Fi devices occupy a huge market niche. Thanks to the fact that this technology is mature and completely standardized, one can easily find an access point/router or a range of these that fits all the requirements of a project. Coverage globalization. With the help of a single Wi-Fi system, one can create a complete coverage that extends hundreds of square kilometers (although this can only be done with the help of experienced specialists; here is one of our projects to highlight such a solution). Ultra-wideband communications (UWB) is a method of transmitting data over wireless communication channels that uses a series of low energy high-frequency pulses. UWB has an extremely wide frequency range – from 3 to 10 GHz (US-specific standard). The stated communication range with a bandwidth of up to 110 Mbits does not exceed 10 m (with a decrease in throughput, the range can be increased to 100 m). Support for hundreds of channels. UWB can simultaneously supply hundreds of connections (this is the main advantage over Wi-Fi, which can support a maximum of 10 channels in the 802.11a standard). Simultaneous networking. UWB-based RTLS can simultaneously support a variety of network types such as Local Area Network, Personal Area Network, and Wide Area Network. Low cost. UWB devices have low power consumption and need no intermediary hardware to connect them into a single network. Security. UWB technology is based on the transmission of signals that operate at the noise level and therefore are not perceived by third-party systems. Accuracy. The UWB technology allows locating objects with an accuracy of mere centimeters. Long reach. Unlike Wi-Fi, UWB technology is capable of transmitting data at a distance of up to 100 meters without repeaters. No need for direct visibility. Unlike counterparts, this technology does not require direct visibility between the end nodes. RFID is the automatic identification of object parameters, positions, and dimensions based on data collected from radio frequency tags. The tags themselves can be passive (powered by signals from the transmitters) or active (powered by local sources). Special “readers” are used to collect and analyze this data (they simply scan the ether for RFID signals). RFID systems can operate over a fairly wide range of frequencies – from 125 kHz to 5.875 GHz. At the same time, the distance for data transmission at a maximum speed of 128 kbps cannot exceed 10 meters. It is noteworthy that the implementation of RFID-based RTLS is quite complicated since the correctness and accuracy of the reader perception can be affected by the position and orientation of the antennas. Operation without direct visibility. There is no need for RFID tags to be in a direct line of sight of the reader in order for their data to be read (although, in fact, there is a limit to the penetration of radio waves, even through radio-transparent materials). Long reading distance. The real recognition range of RFID tags can exceed 100 meters. Capabilities for data storage. An RFID tag can store information from a few bytes to virtually unlimited amounts, depending on the implementation. Support for multiple tags. An RFID reader can read several RFID tags in its reading zone simultaneously and quickly perceive their movements. Versatility. RFID tags can be used in harsh environmental conditions and can withstand shock, critical temperatures, vibrations, high humidity, etc. (although these factors can reduce the accuracy of the tag data reading). Bluetooth is a wireless connection technology that allows convenient and accurate data transmission over short distances. There are asymmetric (721 kbps in one direction and 57.6 kbps in the other) and symmetric bandwidth (432.6 kbps in both directions) connection methods. Devices that transmit data via Bluetooth are designed for direct visibility, so despite the nominal indicator of 100 meters transmission distance, in reality, it does not exceed 40–50 meters. Efficiency. This technology is characterized by low currents and low cost of transmissions between various types of electronic devices (including those with very tiny form factors). Security. Only those devices that are configured to the same transmission pattern can “understand” each other. High resistance to broadband interference. This feature is provided by the implementation of the Frequency Hopping Spread Spectrum method in technology. A large number of simultaneously supported communication channels. Usually, Bluetooth technology allocates 79 data transfer channels (however, in some countries, only 23 of them are allowed to the public, which is nevertheless still more than in any of the Wi-Fi standards). Low cost of devices. Bluetooth-based devices are quite cheap since this technology is relatively inexpensive to implement. GPS (Global Positioning System) is a satellite navigation system that allows determining the location and speed of moving objects in real time, regardless of weather conditions, anywhere on the Earth. The system is based on a multitude of navigation satellites moving around the Earth along six circular orbits at an altitude of approximately 20 180 km. Global positioning accuracy. The accuracy of most GPS receivers in the horizontal plane is approximately 6–8 meters. Relatively low cost of receivers. Deploying GPS-based RTLS will only require a small budget (unless there is a need to use additional approximation algorithms to improve the accuracy of calculations to several centimeters). 100% system availability. Due to the fact that tracking is conducted from orbit, the system allows location detection even in polar regions. 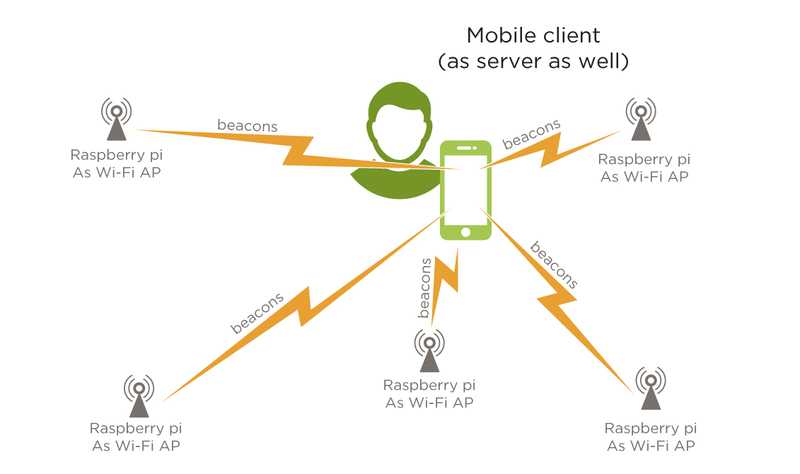 The Raspberry Pi is one of the most compact Linux-enabled systems (an SoC, in fact), which in the case of RTLS can serve as the basis for Wi-Fi positioning systems. The properties of the created system will directly depend on the technical specs of the Pi-based devices used (specifically, their Wi-Fi technology capabilities). Finally, let us systematize the above into a comparative table. Let us sum up. As you can see, each of the described technologies is suitable for creating RTLS in one way or another – some are characterized by low cost, some have great coverage, some are simple to implement, and some have wide compatibility. As for our choice, we use each of these technologies (several in conjunction in some cases) depending on the specific project requirements and nuances of the implementation. Do you have an idea for RTLS but lack the skills or resources to build it? No worries, our team is ready to take on all the responsibilities for the implementation! Just contact us to get a scalable, easily customizable, upgradeable, and inexpensive solution that can be created within a minimum budget.